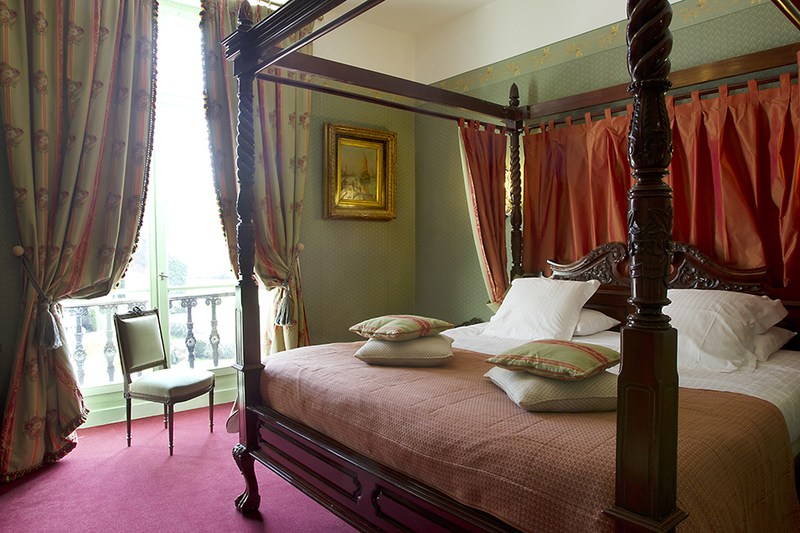 Situated in the Castle towers on the 1st and in the 2nd floors - these rooms offer you a pleasant view of the garden and the Loire valley. 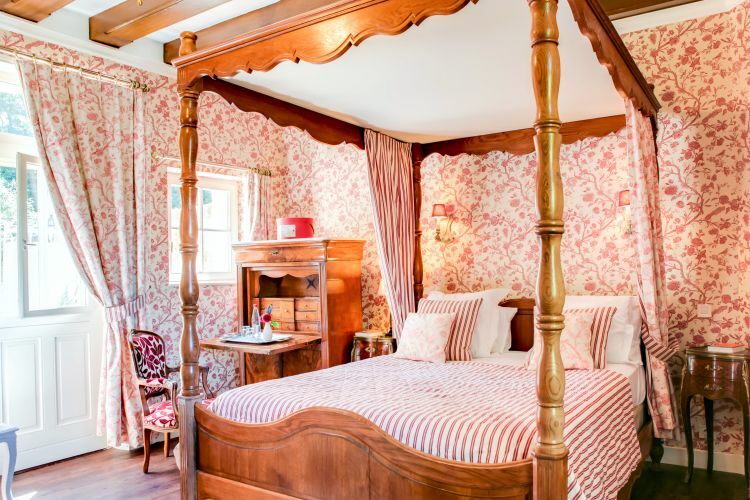 Named Dolly rooms for their cosy and flowery decor - these rooms have been decorated with16th century furniture. They have a private Marble bathroom with Italian-style shower and toilets. Flat screen television. Double bed of 150 per 190. 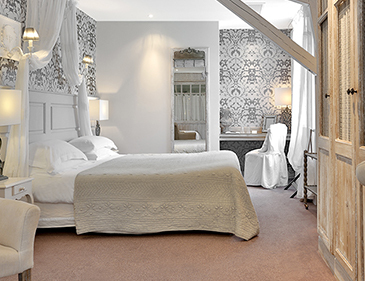 The hotel has 2 Petite Chambre rooms , with a total surface area of about 16sqm, which can welcome 1 or 2 people. 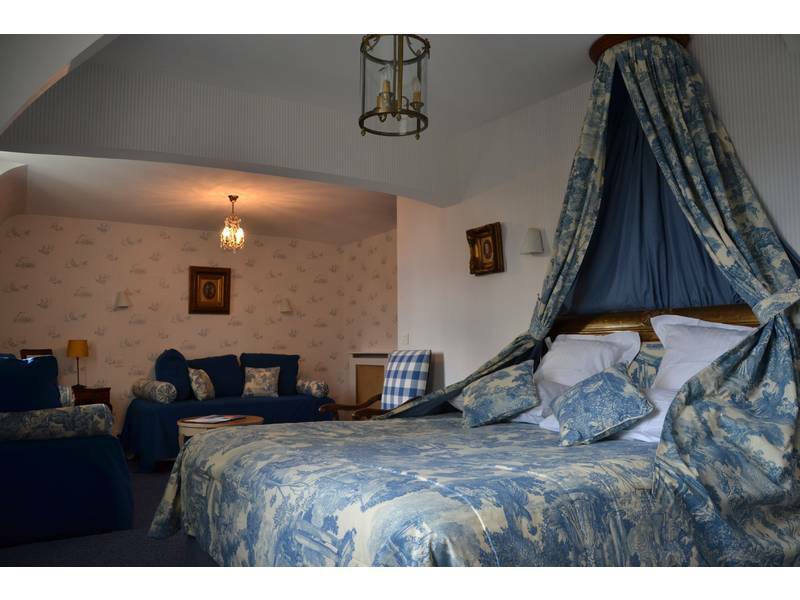 Situated inside the Castle on the ground floor, 1st floor, and 2nd floor, these rooms have a view on the main courtyard or on the garden. They are elegant and functional, decorated with 16th century furniture. 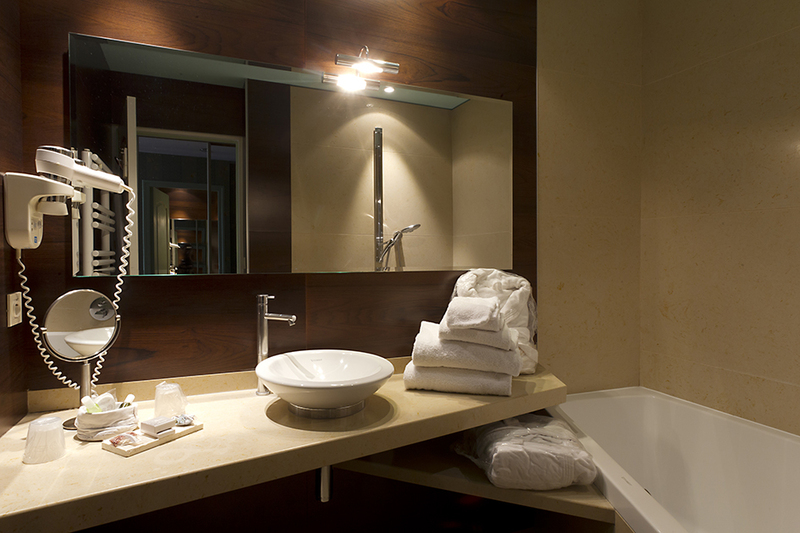 Private modern bathroom dressed in marble and in wood, with trapezoidal bath and toilets. Flat screen television. Big double bed of 160x200. 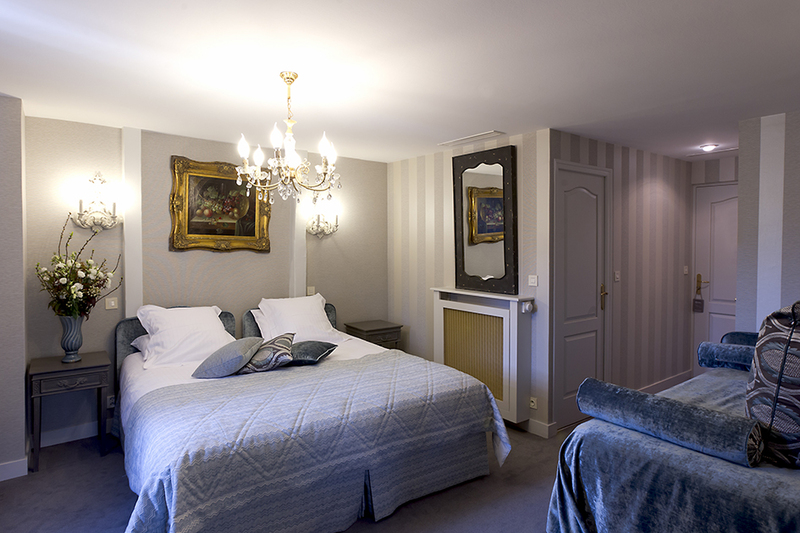 The hotel has 3 "Classique" rooms, with a total surface area of about 21m². 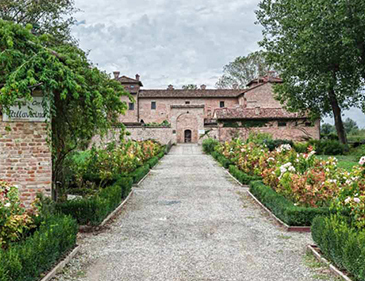 Situated facing the Castle, more modern style, in a dependence in garden level, they are spacious and have a privative terrace.They offer a fantastic view over the building and the main courtyard. 2 of these rooms are: In ground floor, a large bed of 180X200 changeable in twin beds of 90X200. Private modern bathroom with bath and toilets. Flat screen television. In mezzanine, under beams, a place for relaxation is fitted out for you: small lounge and subdued light. 2 of these rooms are: In ground floor, a large bed of 180X200 changeable in twin beds of 90X200. Private modern bathroom with bath and toilets. Flat screen television. In mezzanine, 2 small single beds of 90X190. Situated inside the Castle at the 1st floor with a view of the main courtyard, it consists of 2 communicating rooms separated by a door. 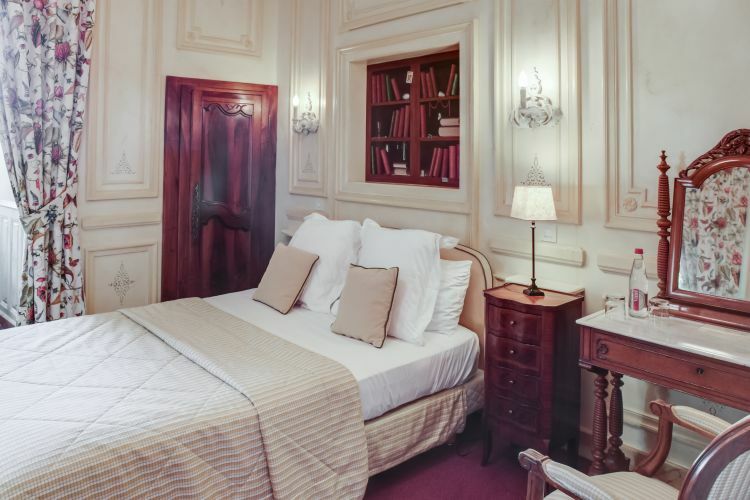 In the first one : a big double bed, a bathroom with bath and toilets. In the second: two small separate beds, bathroom with shower. Television flat screen The hotel has 1 Family room for 3 or 4 persons with air-conditioning, of a total surface about 33m ². 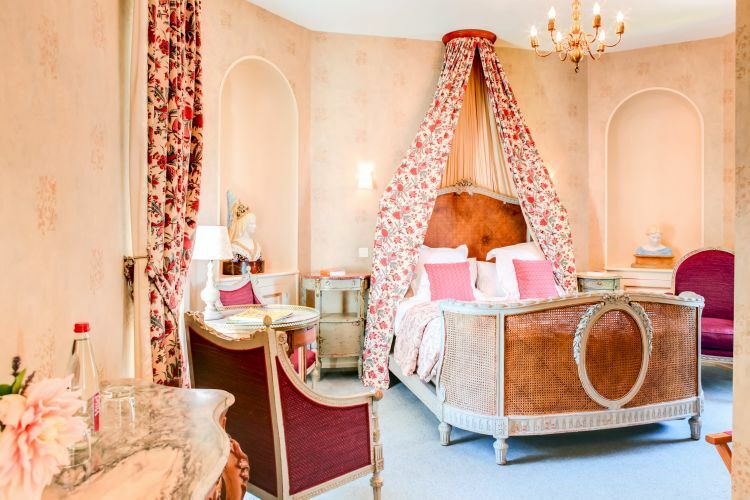 A romantic hideaway in the heart of the Loire Valley... This address is tucked away a 12-acre park, with a lovely kitchen garden. This magnificent castle was built in the 13th century and rebuilt in the 16th. It is watched over by its two towers. Inside, a certain bygone charm prevails. The bedrooms are perfectly suited to the spirit of the place with four-poster beds, looped curtains, 16th and 18th century furniture, and bathrooms decorated with marble and wood. The swimming pool and vast terrace are ideal places to relax. 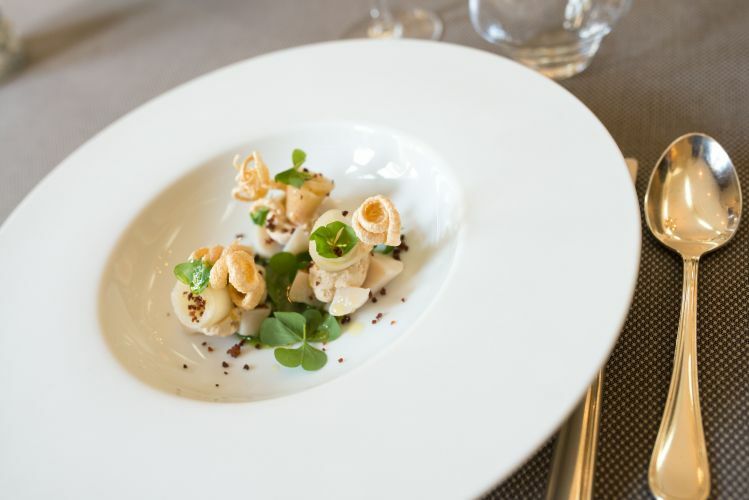 Chef Arnaud Philippon has been rewarded for cuisine, and is team ensure that you have an unforgettable moment in a warm and intimate place. 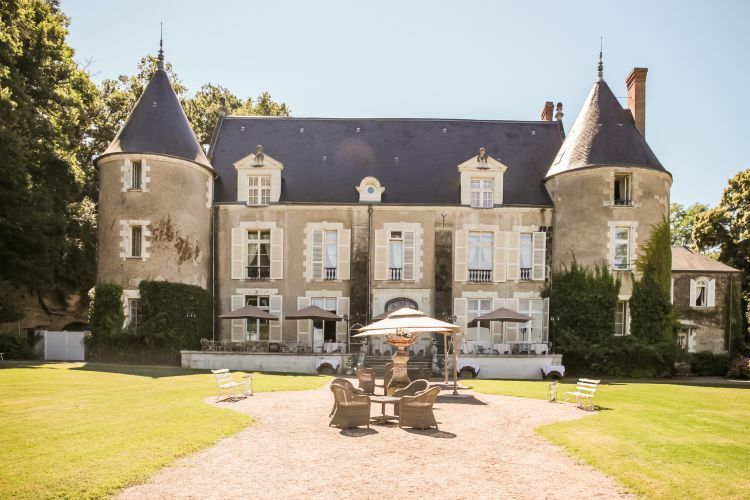 A pretty chateau in the heart of the chateaux de la Loire, in an idyllic rustic setting overlooking the river. Beautiful terrace. Kitchen garden, woods, gardens and pool. 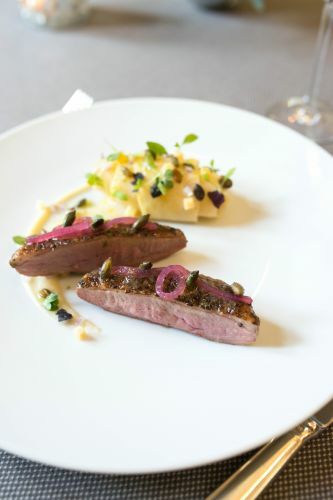 The cuisine of chef Arnaud Philippon consists of an array of dishes based on high-quality, seasonal produce. 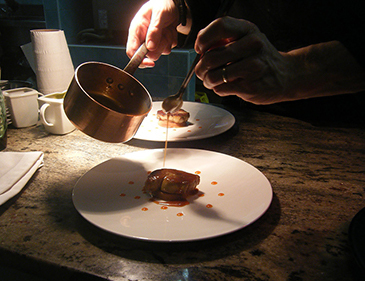 Using the most up-to-date techniques he crafts a sublime blend of tastes, aromas and textures. The hospitality of the staff and beautiful castle atmosphere made me feel like a princess during my stay. 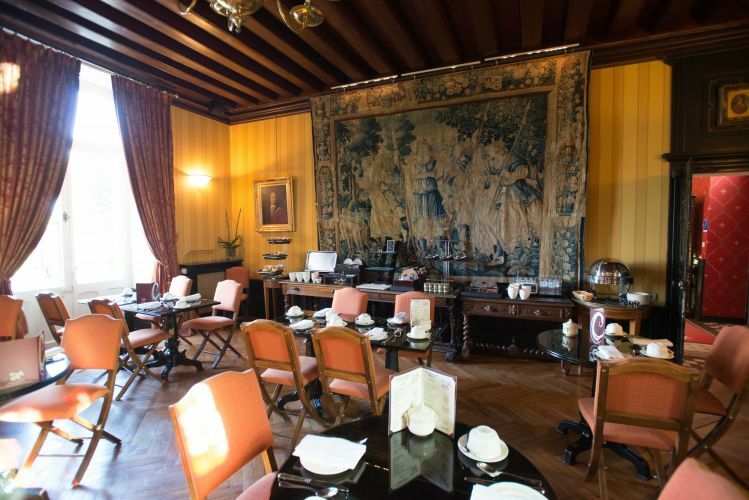 We came here for one night to stay at the chateau and dine at their amazing restaurant. Staff were super friendly and the room was devine. 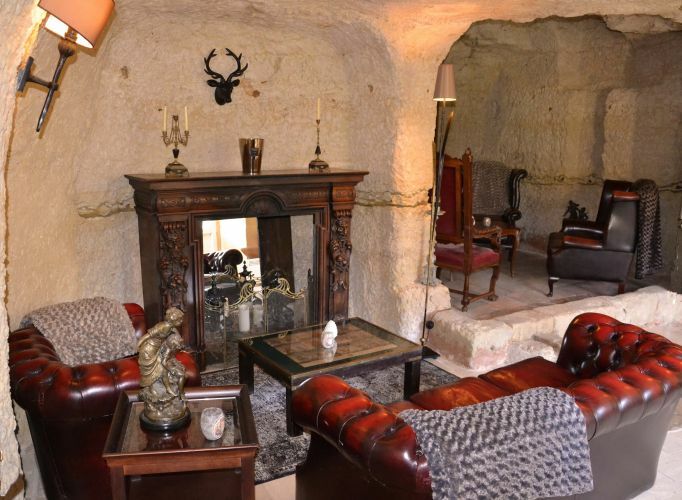 A beautiful French experience in a great location. As owners of the Sabal Palm House Bed and Breakfast we know how much work goes into providing a great experience for a hotel guest. We loved our stay and were impressed with everything about this property. The staff was so helpful and the property is exceptional. We loved having tea in the back garden and walking the property. We truly enjoyed our stay. Great location just outside Amboise. 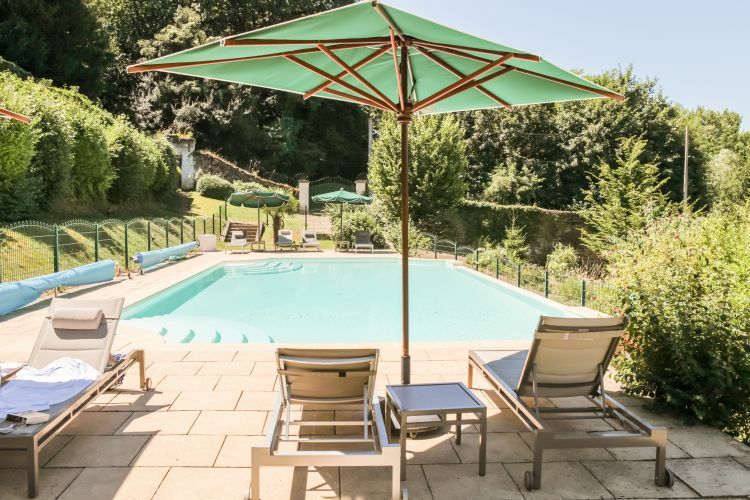 Lovely property with gardens and pool, great place to relax after beating the chateau pavements. The restaurant is outstanding - worth a visit even if you are not staying at the chateau. We stayed in the room with a mezzanine floor - the room decour is tired but as a compensation, the room is large and has a patio in front for each room's use. Would stay again .. for the restaurant, the location, the grounds, the pool and the lovely country walks that can be had from the property. This is our second time at the Chateau. The first was a romantic getaway and this time was with our young children. Our expectations were exceeded just as they were last time. The stay was as close to perfect as we could imagine and we will be back. 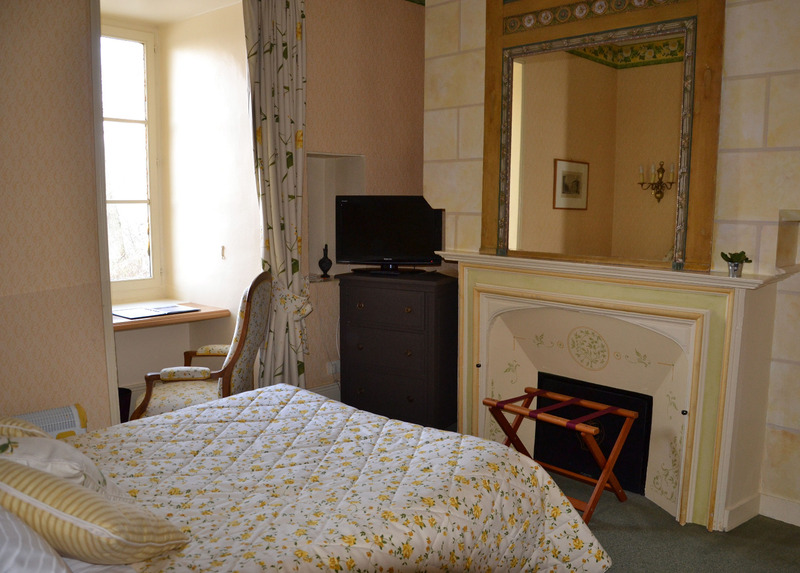 We returned to Chateau de Pray for 3 nights in September and stayed in one of the Pavilion rooms. Overall we really enjoyed our stay and would return. Location is excellent, breakfast was great, food at dinner was very good, pool is good. We had three things we felt could have been better. After a long journey we arrived at about 3.15pm to be greeted with a comment that check in was not until 4pm, rather than a more welcoming would we like to sit outside in the sunshine until our room was ready shortly. This contrasted with the very helpful other younger female person at reception who on a number of occasions could not have been more helpful. The second thing was the room had no shower in the bath, just a hand held shower head which was disappointing for a 4 star hotel. Finally the service on the first night we had dinner was poor as there was a large group of noisy Spanish cyclists. To be fair the second night it was really good. 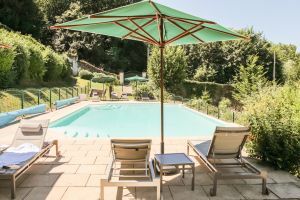 THE BEST place we could have picked for a few relaxing days in the Loire Valley. 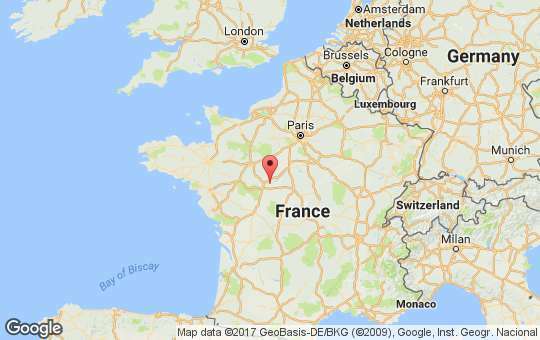 Not too far a drive from Paris, yet far enough into the country to see the pastoral life of trees, flowers, horses, chickens, geese, along the beautiful wild river. 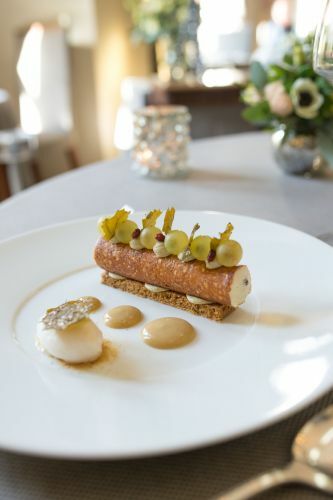 The old chateau itself is darling, with inviting gardens, mossy walking trails, a delightful pool — AND a Michelin Star restaurant in-house, serving incredible food every night. But the best part of the experience was the remarkable staff, who treated every single visitor like royalty. the restaurant is a must try! Food was elegantly prepared and the staff was incredible. We enjoyed our dinner on the terrace overlooking the grounds. It was truly unforgettable. 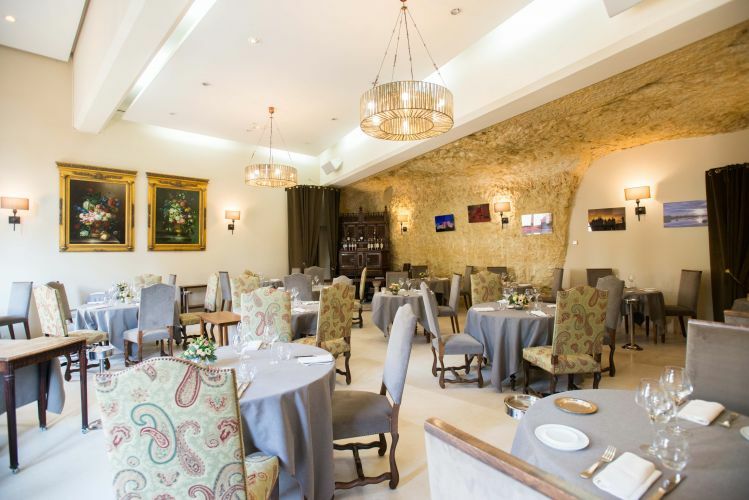 We really enjoyed our time at the Chateau de Pray restaurant. Great atmosphere and fabulous food. Our kids were with us, and the restaurant did a great job with kid portions and choices as well. Thank you! A short distance from town, this is a pleasant but smaller Chateau with manicured grounds, though minimal gardens. Our room, 17, located in the out building, was damp and smelled very strongly of mildew. As we were staying a short time and barely in the room, we opted to say nothing. The housekeepers can smell too and are, no doubt aware. There is only one option for breakfast, an expensive, though expansive one. The pool is very pleasant, across the nice lawn and tucked down some stairs, away from the back terrace/summer dining area but there is no going to or coming from the pool without going through the dining area. So, if you swim at cocktail or dinner hour, you will walk by the tables of diners, which is a bit awkward. However, you can change into clothes by the pool. Service was hands off and friendly and accommodating when requested. Ambiance, room, location, staff, restarant, terras, pool .... all are perfect. A superb buiding with a great atmosphere and authintic decoration. Beautiful. Points to improve: Perhaps airco in the room. Difficult but would be very comfortable. Breakfast could be a bit more diverse. 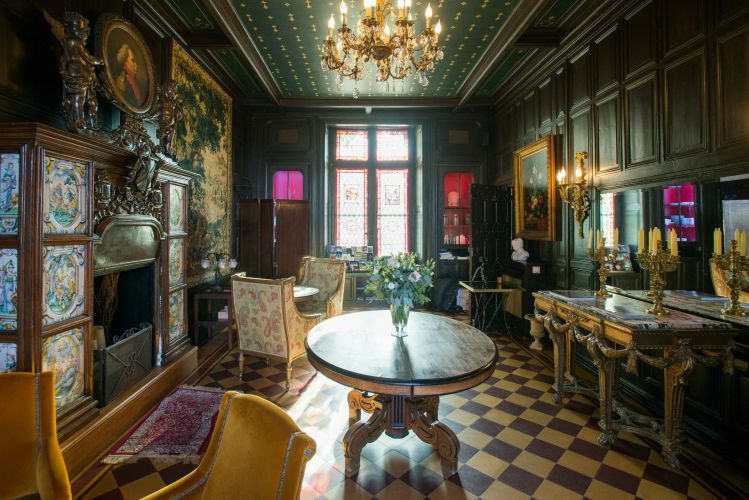 Chateau du Pray was something out of a storybook. 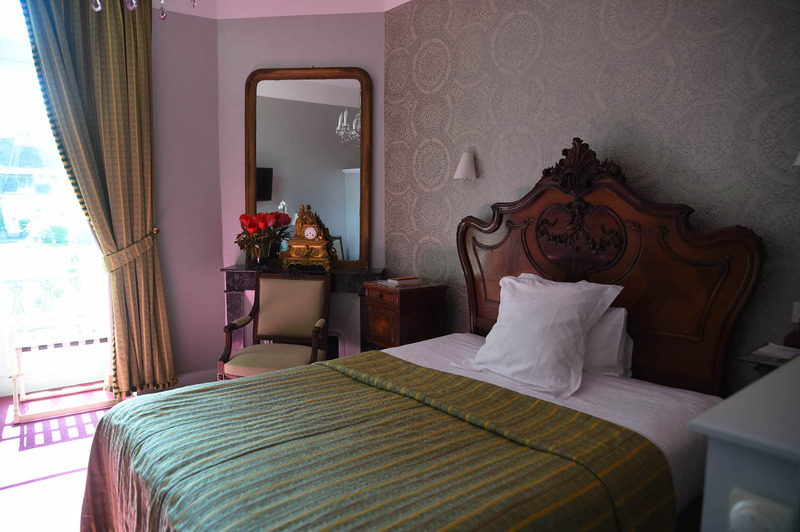 The rooms were beautifully decorated, the history enriching, the food fantastic, and the staff so friendly and accommodating that you’ll never want to leave. I can’t say enough great things about our stay and we can’t wait to visit again! Great hotel and restaurant. The staff were very helpful and the setting was amazing. Estuvimos a gusto en nuestra pequeña habitación. Con el frío que hacía no sé notaba desde dentro. Y los exteriores son muy bonitos. Chateau de Pray was a treat. We had a large suite in the old part of the hotel, and the suite was excellent. Fine bed, separate bath & shower, and also a separate toilet. Since it was late October we did not use the pool. Dinner at the Michelin-starred restaurant was fabulous, for us a rare treat for that level of meal. Atmospheric hotel very well located with a superb restaurant. We were looking for a good hotel to celebrate my birthday; the Chateau de Pray did not disappoint, especially in terms of the excellent cuisine in an elegant setting. Convenient location on the Loire, attractive chateau hotel with lovely enclosed grounds, just the thing when travelling with a large dog. Friendly staff, nicely apppointed though small room. Pretty and interesting hotel, internal common areas a little small. Pretty pool area and good pool. Some noise from the busy road running along the Loire when the window was open. Cleaning staff in the morning played the radio/TV? loudly which disturbed the peace I think that this should not have been allowed. Lovely surroundings with attentive staff. Gracious staff. Funky historic chateau. Luckily, we were there after the heat wave broke. It would have been very uncomfortable during the 35-degree weather the week before. We enjoyed it tremendously. Our dinner at the highly touted adjoining restaurant was disappointing. Quietly fucked away, this hotel was a delight. Friendly staff, excellent service and outstanding food. Stylish French luxury provided by efficient and pleasant staff. 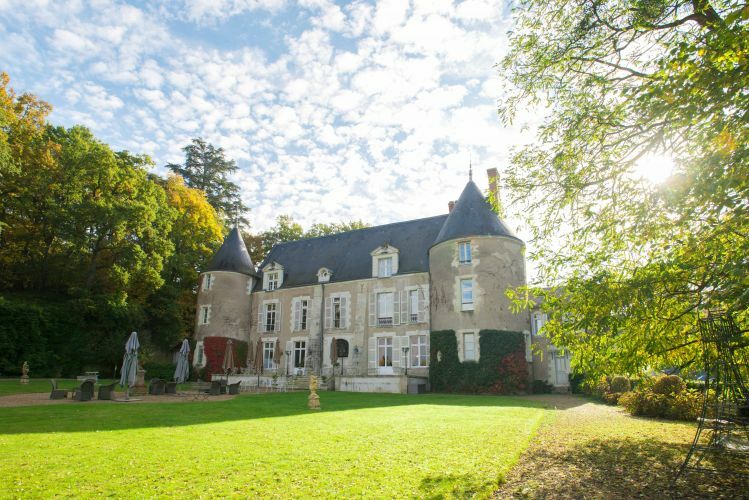 Beautiful Chateau with all the amenities. Updated bathrooms, wonderful grounds, 5 star restaurant. Our host Jerome was super. Our only regret was we were only there 1 night. Fantastic setting and location but missed on some basic service items. Dinner on the patio at dusk was amazing. The perfect blend of charm and eloquence coupled with the natural beauty of the area is definitely a must stay place. Beautiful building and surroundings. We really enjoyed our stay. Beautiful site. Exceptional accommodations. Friendly helpful staff. Dinner with attention to detail wonderful experience. We loved our stay at the Chateau! The staff made us feel like royalty from the first moment. The rooms are luxurious and the patio has a spectacular view. 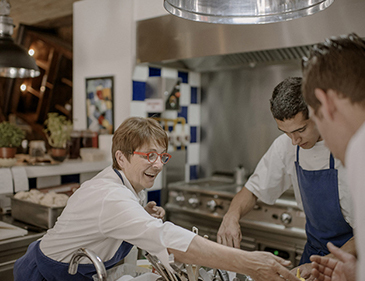 The restaurant experience was the best meal we had ever eaten. Excellent. Really happy with the stay. I will refer it and come back. Only disappointment was that the restaurant was closed which was not highlighted on the Châteaux et Hôtels website. The chateau was perfectly located for visiting the Loire Valley region and we found the staff to be very pleasant from our arrival through our departure. They were very accommodating and gave my wife and I an upgrade to a larger suite for our stay which we greatly appreciated. We had dinner and the food and service was excellent. No complaints with the property or the staff. Dinner was superb and memorable. 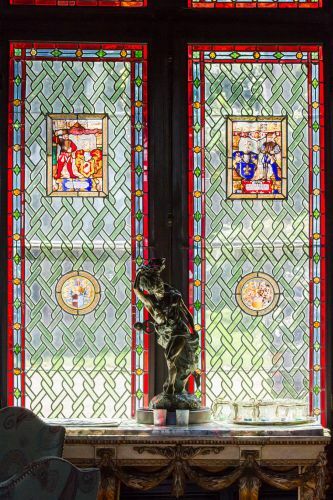 The Chateau de Pray is such a wonderful place. In the countryside but close to the village. 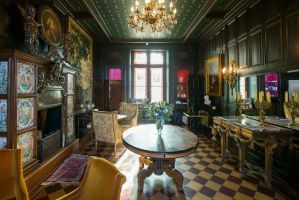 The chateau itself was well maintained and well furnished in antiques. The staff was impeccable, especially Jerome. He's very attentive and polite. Thank you for an outstanding holiday! Very charming hotel! Loved our room, the gardens and the restaurant. 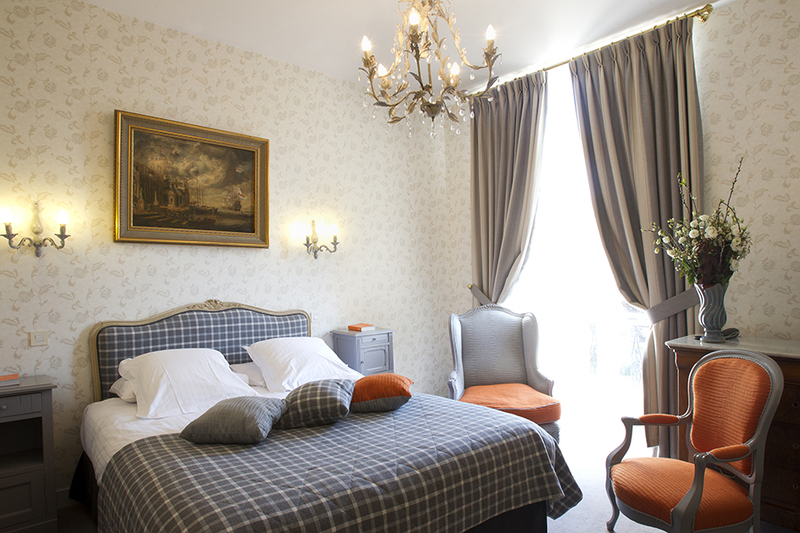 Wonderful hotel a 3 minute drive from all the good stuff in Amboise. Great pool, amazing staff, clean, quiet, comfortable room. Awesome hotel restaurant (must reserve - also, not cheap). 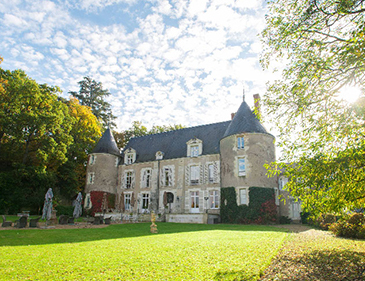 Beautiful old chateau on a well manicured property, perfect location, great staff, highly recommend. Very charming, beautiful , and comfort room. We enjoyed our stay in Chateau de Pray very much although the weather was largely cold and wet which is a surprise for June. The restaurant was outstanding and we felt that the staff were of very high quality. The head waiter in particular clearly set the standard and was constantly arranging to the needs of the diners. 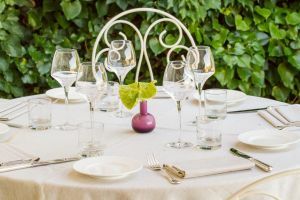 We did not feel that we wanted three dinners in the restaurant and only had two but the hotel offered very limited alternative and some form of simple supper perhaps with room service did not seem to be available other than a plate of chees and a plate of fruit. The hotel and staff are amazing....location great....the restaurant is fantastic and the sommelier and staff can not be beat....the food flavor sand presentation were so good, we ate at the restaurant every night of our stay....keep up the great work....we will be back. The dinner meal was of outstanding quality. Highly recommended.